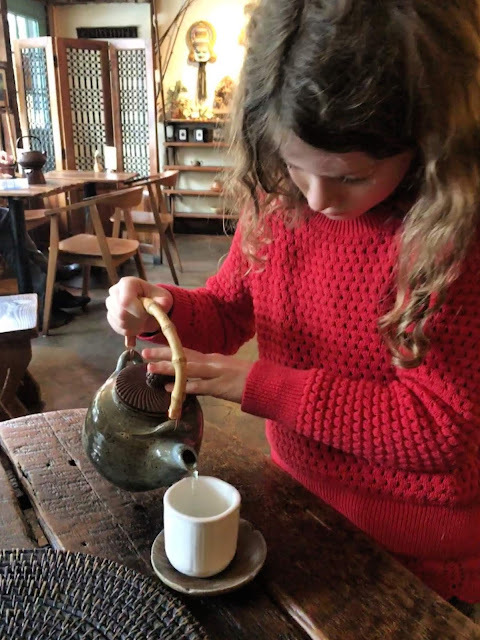 I mentioned it last week, but I have been taking the girls about once every other week after school to The Tao of Tea, where we try different teas, and experience the art and culture of an international teahouse. We always leave feeling much better in body, mind, and spirit than when we arrived. 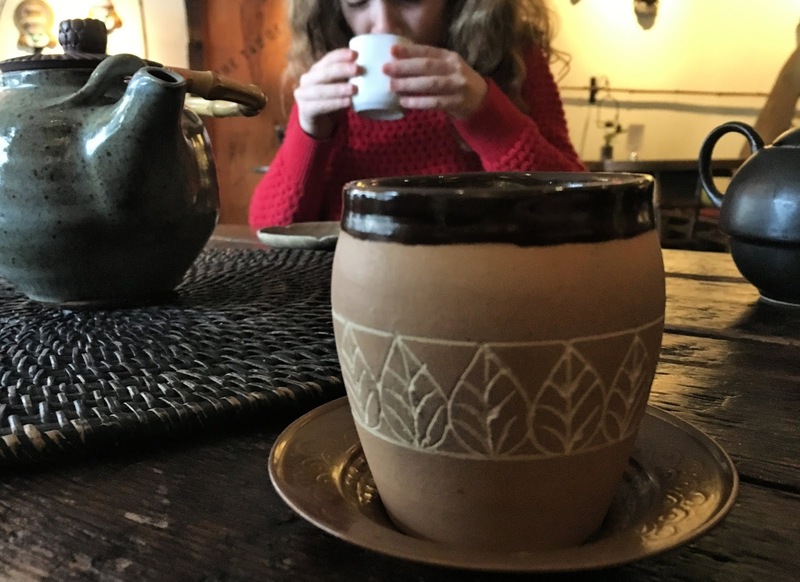 The girls split a pot of Egyptian chamomile, and I enjoyed a pot of my favorite 500-mile Chai with whole milk and raw honey. Chai translates to 'tea' in Hindi, so one should say Chai, not Chai tea, as that is redundant. 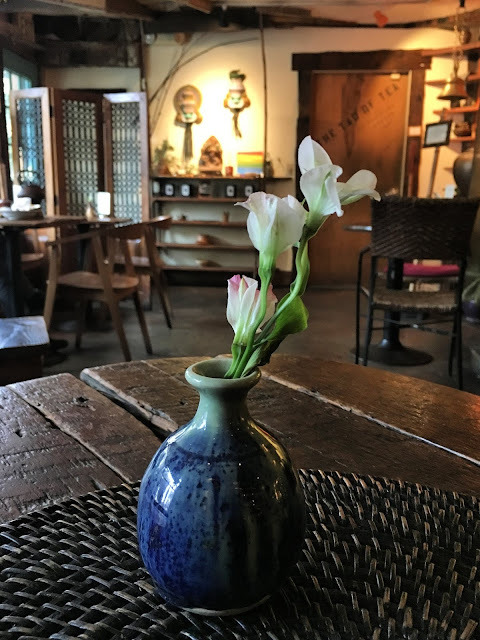 From The Tao of Tea's website: "The tale of the ‘500 Mile Chai’ is famous in India. It refers to long distance truck drivers traveling on the highways at night. They would stop at small Chai stands called “Dhabas” and request very strong, sweet Chai to help them continue safely on their trip. “Give me the 500 Mile Chai,” is a way of saying, 'Give me your strongest tea!'" The girls love the chocolate-covered macaroons, and I usually favor a savory Indian aloo paratha with a side of raita. This paratha is filled with potatoes, cilantro, and onions. Very tasty and pairs well with a pot of tea. If I have a choice, I almost always choose savory over sweet. My girls, on the other hand, will choose sweet over savory any day (as will my husband, Adam).